“Superheroes: Fashion and Fantasy” looked like a weird high school prom, but that’s okay. The Met Gala — technically a fundraiser for the eponymous museum's Costume Institute — is the supreme see-and-be-seen fashion event in which celebrities typically ignore the annual theme in lieu of looking super hot. This year's theme is Heavenly Bodies: Fashion and the Catholic Imagination, which is a perfect opportunity to reimagine the decadence of religious iconography into wearable art. We're waiting with bated breath to see what the event's all-stars — and by that I almost exclusively mean co-host Rihanna, who should be canonized for her sartorial contributions — will show up wearing. 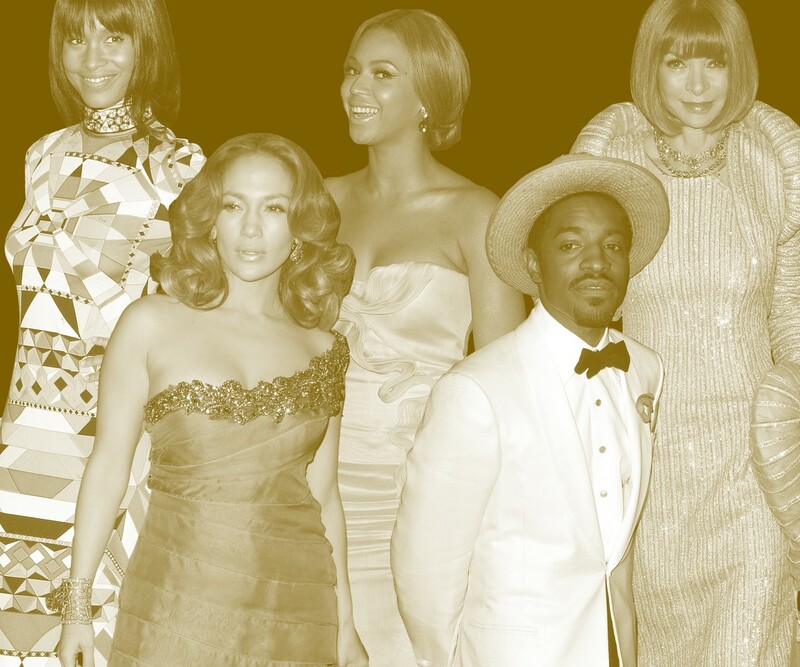 With each passing year, the Met Gala becomes more over the top in theme and celebrity, which prompted us to look back to 10 years ago to 2008, when Twitter roasts weren't a thing, and celebrities could get away with mediocre to heinous style choices relatively unscathed. What was going on a decade ago? A quick debriefing: Mischa Barton was a relevant and sought-after starlet, Tom Cruise was part of TomKat and not a Scientology cyborg, and Ivanka Trump was still a completely tragic figure. The 2008 theme was “Superheroes: Fashion and Fantasy,” which is a touch sophomoric, but hey, it was simpler times. Just like the more recent Met Galas, the theme seemed to be taken as a suggestion. Barely anyone went for outrageous, architectural silhouettes worthy of comic book heroes and villains, and instead opted for pretty but non-groundbreaking silhouettes in metallic hues that remain popular among suburban high school formals to this day. Social media was in its infancy in 2008, and despite the inherent glam of the Met Gala, the stakes for having a wow-factor look were low. Today's norm is instant and lasting acclaim or vitriol from viewers, while 10 years ago, if your outfit sucked, no one would remember in a week's time. While the 2008 red carpet style left much to be desired, there were of course a few standouts. Below, we've highlighted some of the best — and the disastrous — looks of the year for historical purposes, as well as to whet your appetite for tonight's fashion menagerie. What's not to love about this Met Gala look? Not only did Victoria Beckham look like a nefarious fiend in her lace get-up with a structured victorian high collar, but her husband David Beckham was regaled to the role of walking accessory. Christina Ricci opted for the iconic, ultra-cinched Wonder Woman corset and layered it with a candy pink chiffon for an ethereal gossamer effect with an edge. Tilda Swinton is naturally intergalactic, so she didn't really need to do much to fall in line with the theme. Her champagne brocade dress was conservative, but her other choice details like windswept, fiery hair and packed-on highlight make her complete outfit worth noting. Vogue editor-in-chief Anna Wintour wore a Karl Lagerfeld original back in 2008: a silver bullet gown with thick, snail-inspired structural elements. It's bewildering, but feels the most on theme. What's this snail hero's backstory? Did Anna leave a trail of goo behind her on the red carpet? Does Marvel have a mollusk-centric universe locked away in some comic book vault? So many unanswered questions. Model turned television actress Amber Valletta went for an obvious superhero motif: a billowing cape. The voluminous add-on brought dimension to an otherwise basic silhouette, and the shimmering silk gave some much needed enchantment. Beyoncé has achieved so much over the past decade that this blush gown in a simple hourglass silhouette feels sweet. It's almost like looking back at a photo of yourself from your prom — you may have had no idea what in fresh hell was going on around you, but you looked cute doing it. Bey's gown is decidedly not in line with the superhero theme, but if you look closely, she's covered in giant specks of body glitter, which is a heroic choice to make at an event that costs thousands of dollars for entry. J. Lo's face says it all. Who let her go out like this? Who did J. Lo deeply wrong in 2008? She better thank her lucky stars she wore this JC Penny level atrocity before Twitter was a thing. Venus Wiliams was also part of the aforementioned prom committee — it's overall lacking in design and originality, but the dark metallic fabric and matching smoky eye are flattering enough for redemption. Taylor Swift has been around for 10 years??? A full decade of being criminally boring??? Joy Bryant probably saw one of those optical illusion books where if you stare at a pattern for long enough, something pops out at you and was inspired. The long-sleeved, high neck cut is pretty, but the busy nature of the print is nauseating. Feel free to turn the brightness down on your computer or phone. Sometimes it's painful to look at pictures of Mischa Barton in her heyday, knowing now that her career was on its way to fully imploding. Hindsight is a curse! Her gown's ruffles and sequins could have been overkill, but the mix of neutrals made it work, and honestly she looked very pretty that night. My editor said that Sarah Silverman looks like an auntie at an office holiday party, so there's truly nothing else I could possibly say about this. 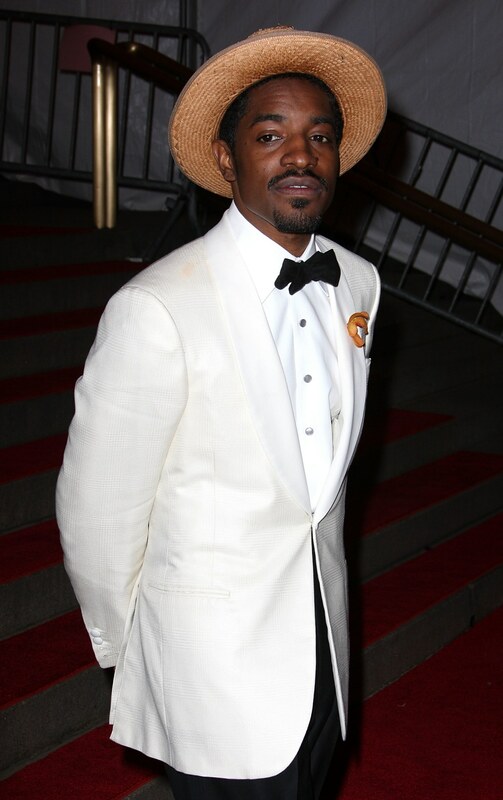 André 3000 was in the height of his short-lived preppy ready-to-wear line Benjamin Bixby in 2008, so the straw hat — however peculiar of a choice — makes sense in context. It's a leisure look that's still refined, even though it has literally nothing to do with superheroes or fantasy.